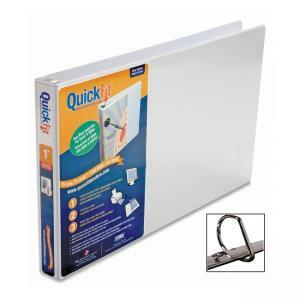 Stride QuickFit Ledger Binder - 1"
Quick Fit Ledger Binder features a full front cover, spine overlay and D-rings. Ideal for larger presentations with room to accommodate both legal size and 11" x 17" sheets of paper without folding. 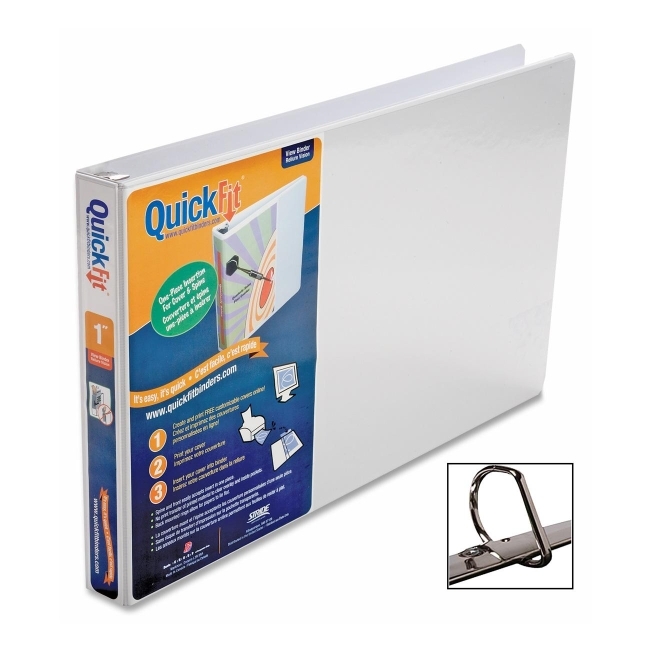 The Quick Fit feature saves valuable time when preparing binders for presentation. Simply slide front cover and spine insert under the overlay easily and simultaneously. The slant D-rings are made of silver-plated recycled metals and are mounted on the back cover which allows the pages in the binder to lie flat. Overlay and one inside pocket are made of no ink transfer vinyl. Ledger binder is made with 80 percent recycled material with 50 percent post-consumer material.